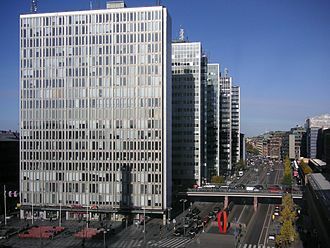 Wikimedia Commons has media related to Deaths from pneumonia. This category is for people who died from pneumonia. Pages in category "Deaths from pneumonia"
The following 200 pages are in this category, out of approximately 2,508 total. This list may not reflect recent changes (learn more). Barbara Jean Acklin was an American soul singer and songwriter, who was most successful in the 1960s and 1970s. Her biggest hit as a singer was Love Makes a Woman, as a songwriter, she is best known for co-writing the multi-million-selling Have You Seen Her with Eugene Record, lead singer of the Chi-Lites. Acklin was born in Oakland and moved with her family to Chicago, Illinois in 1948. She was encouraged to sing as a child, by the age of 11, she sang regularly as a soloist at the New Zion Baptist Church, after graduating from Dunbar Vocational High School she worked as a secretary at St. Lawrence Records. Her first record was released on the subsidiary Special Agent label, under the pseudonym Barbara Allen, and was produced by her cousin and saxophonist Monk Higgins. She worked as a singer at Chess Records on recordings by Fontella Bass, Etta James, Koko Taylor. In 1966, she started working as a receptionist at Brunswick Records Chicago office, wilson helped secure her a recording contract with Brunswick. Her first two singles for the label were unsuccessful but her third, Show Me the Way To Go and she began writing songs with another Brunswick recording artist, Eugene Record, lead singer of the Chi-Lites, some but not all sources state that they were married. The single reached no.3 on the R&B chart and no.15 on the US pop chart in July 1968, and won a BMI award. The instrumental backing track of Am I the Same Girl, with piano replacing Acklins vocal, am I the Same Girl was covered in the UK by Dusty Springfield. Acklin released albums on the Brunswick label, Love Makes a Woman, Seven Days of Night, Someone Elses Arms, I Did It. At the same time, she continued her successful writing partnership with Eugene Record and it reached no.1 on the R&B chart and no.3 on the US pop chart, and twice made the UK top ten. In 1990, the became a top ten hit again. Record and Acklin co-wrote several other songs for the Chi-Lites, including Stoned Out of My Mind, Toby. In 1974, Acklin moved to Capitol Records and her first single for the label, was co-written by Acklin and produced by former Brunswick producer, Willie Henderson. Edith Abbott was an American economist, social worker and author. Abbott was born in Grand Island and her younger sister was Grace Abbott. Born September 25,1876 in Grand Island, Edith was the daughter of Otheman Abbott, in 1893, Abbott graduated from Brownell Hall, a girls boarding school in Omaha. 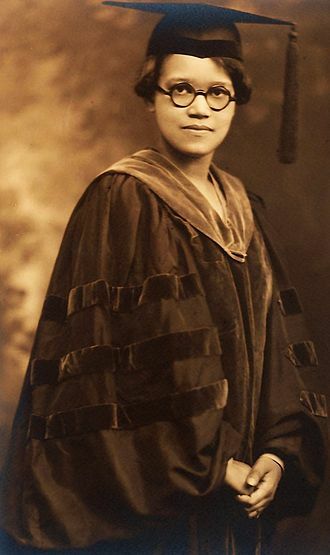 However, her family could not afford to send her to college, after two more years as a teacher, Abbott attended the University of Chicago and received a PhD in economics in 1905. In 1906, Abbott received a Carnegie Fellowship and continued her studies at University College London, and she learned from social reformers Sidney Webb and Beatrice Webb, who championed new approaches to dealing with poverty. 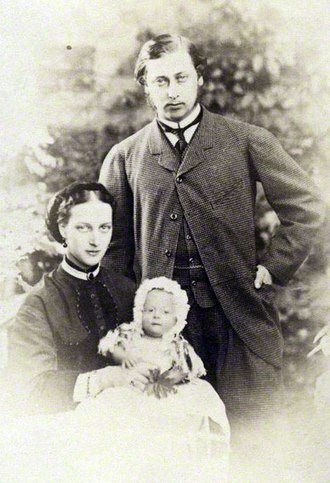 The Webbs influenced the direction of Abbotts career, the Webbs were in favour of repealing the British poor laws that they viewed as demeaning to people in poverty, and they supported establishing programs to eliminate poverty. While studying in London, Abbott lived part of the time in a social settlement in a poverty-stricken area of the East End. In 1907, Abbott returned to the United States and taught economics for a year at Wellesley College, Abbott worked as an assistant to Sophonisba Breckinridge, director of social research at the Chicago School of Civics and Philanthropy. In that position, Abbott contributed to studies of juvenile delinquents and truants and she created studies on women in industry and problems in the penal system. She lived with her sister, Grace, at Hull House from 1908 to 1920, associating with the men and women who worked in support of Jane Addams, in 1911, she co-founded the Joint Committee for Vocational Training with Sophonisba Breckinridge and Grace Abbott. The school was the first university-based graduate school of social work, in 1924, Abbott became the schools dean, the first US woman to become the dean of an American graduate school. She served in that position until 1942, and she emphasized the importance of education in social work. In 1926, Abbott helped establish the Cook County Bureau of Public Welfare, Abbott was a prominent immigration expert, working for reforms that would end exploitation of immigrants. Emma Abbott was an American operatic soprano and impresario known for her pure, clear voice of great flexibility and volume. Emma Abbott was born in 1850 in Chicago, the daughter of the struggling Chicago musician Seth Abbott, as a child she and her brother George studied singing, piano and violin with their father. The family moved to Peoria, Illinois in 1854 but Professor Abbott was unable to find a sufficient number of students to make ends meet. To help out and George began performing professionally when Emma was nine years old and she made her debut as a guitar player and singer in Peoria, Illinois in 1859, with George on the violin, and was teaching guitar by age thirteen. In 1866 she joined an itinerant concert troup and toured the country, while performing on the road she met and was befriended by Clara Louise Kellogg. Upon hearing Abbott in a concert in Toledo, Kellogg made it a point to meet her and encourage her to pursue an opera career, Abbott studied in New York City under Achille Errani, and made her concert début there in December 1871. In 1872 Abbott went abroad to study with Antonio Sangiovanni in Milan and this was followed by further studies with Mathilde Marchesi, Pierre François Wartel and Enrico Delle Sedie in Paris. She appeared in productions in Paris, earning rave reviews for her fine soprano voice. She was awarded a contract with the Royal Opera in London, her contract was cancelled shortly thereafter when she refused to sing Violetta from Verdis La Traviata on moral grounds. That same year she secretly married Eugene Wetherell and they returned to the United States, on February 23,1877, Abbott made her American operatic début in New York, once again portraying Marie. In 1878 she and her husband Eugene Wetherell, organized a company known by her name. It was the first opera company formed by a woman in the United States and her husband ran the business end of the company and she managed the artistic side, often starring in the productions. 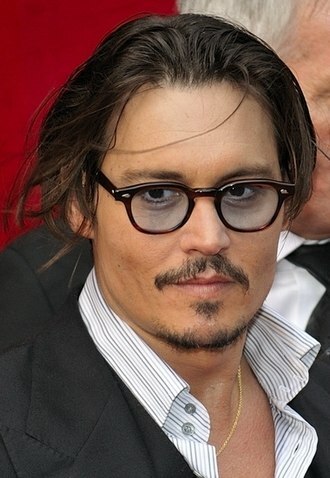 The company garnered a reputation among the public for quality productions and was quite successful, among the notable roles that Abbott sang with the company are Juliette in Gounods Roméo et Juliette, Virginia in Paul et Virginie, Josephine in H. M. S.
The Capeman, was a Puerto Rican gang member who murdered two teenagers in a Hells Kitchen park in 1959. Agron mistook both teenagers for members of a gang called the Norsemen who were supposed to show up for a gang fight, Agron was the subject of the musical The Capeman by Paul Simon. Agron was born in the city of Mayagüez on the western coast of Puerto Rico, when he was young, his parents divorced and his mother had custody of him and his sister, Aurea. She earned a living by working at a convent, according to Agron, he. His mother met and married a Pentecostal minister and the moved to New York City. Agrons relationship with his stepfather was negative, and he asked his mother to him back to Puerto Rico to live with his father. In Puerto Rico, his father had remarried, one day the teenage Agron found the body of his stepmother, who had committed suicide by hanging herself. Agron began to get into trouble and was sent to the Industrial School of Mayagüez and his father sent him back to his mother in New York, and in 1958 he became a member of notorious teenage street gang the Mau Maus from the Fort Greene neighborhood of Brooklyn. He joined another gang called the Vampires after meeting Tony Hernandez, on August 29,1959, the Vampires were on their way to rumble with a gang composed mostly of Irish Americans called the Norsemen. When they arrived, they mistook a group of teenagers for members of the Norsemen, Agron stabbed two of the teenagers to death and fled the scene. The two victims were Anthony Krzesinski and Robert Young, Jr, the murders made headlines in New York and the city went into an uproar. Agron was called The Capeman because he wore a cape with red lining during the fight. After Agron was captured, he was quoted as saying, I dont care if I burn, Agron was sentenced to death, which made the 16-year-old the youngest prisoner ever sentenced to death row in New York. While many New Yorkers were outraged about the killings, others like former First Lady Eleanor Roosevelt and Robert Young, while on death row, Agron became a born-again Christian. In prison he learned to read and write, earning his high school equivalency diploma and he earned his Bachelor of Arts degree in sociology and philosophy from the State University of New York in New Paltz, New York. Mulk Raj Anand was an Indian writer in English, notable for his depiction of the lives of the poorer castes in traditional Indian society. One of the pioneers of Indo-Anglian fiction, he, together with R. K. Narayan, Ahmad Ali and he is notable for being among the first writers to incorporate Punjabi and Hindustani idioms into English and was a recipient of the civilian honour of the Padma Bhushan. During this time he forged friendships with members of the Bloomsbury Group and he spent some time in Geneva, lecturing at the League of Nations School of Intellectual Cooperation. Anands literary career was launched by family tragedy, instigated by the rigidity of the caste system and his first prose essay was a response to the suicide of an aunt, who had been excommunicated by her family for sharing a meal with a Muslim woman. His first main novel, published in 1935, was an expose of the day-to-day life of a member of Indias untouchable caste. It is the story of a day in the life of Bakha, a toilet-cleaner. This simple book, which captured the puissance of the Punjabi and Hindi idiom in English was widely acclaimed, the introduction was written by his friend, E. M. Forster, whom he met while working on T. S. Eliots magazine Criterion. Forster writes, Avoiding rhetoric and circumlocution, it has gone straight to the heart of its subject, Anand, who in the 1930s and 40s spent half his time in London and half in India, was drawn to the Indian independence movement. During his time in London, he wrote propaganda on behalf of the Indian cause alongside Indias future Defence Minister V. K. Krishna Menon and he spent World War II working as a scriptwriter for the BBC in London, where he became a friend of George Orwell. Orwell penned a review of Anands 1942 novel The Sword. He was a friend of Picasso and had Picasso paintings in his collection, Anand returned to India in 1946, and continued with his prodigious literary output there. His work includes poetry and essays on a range of subjects, as well as autobiographies, novels. Abdullah bin Abdulaziz Al Saud was King of Saudi Arabia and Custodian of the Two Holy Mosques from 2005 to his death in 2015. He ascended to the throne on 1 August 2005 upon the death of his half-brother, like Fahd, was one of the many sons of Ibn Saud, the founder of modern Saudi Arabia. Abdullah held important political posts throughout most of his adult life, in 1961 he became mayor of Mecca, his first public office. 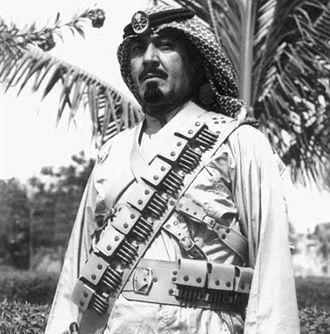 The following year, he was appointed commander of the Saudi Arabian National Guard and he served as deputy defense minister and was named crown prince when Fahd took the throne in 1982. After King Fahd suffered a stroke in 1995, Abdullah became the de facto ruler of Saudi Arabia until ascending the throne a decade later. During his reign he maintained relations with United States and United Kingdom. He gave women the right to vote for municipal councils, Abdullah maintained the status quo when there were waves of protest in the kingdom during the Arab Spring. In November 2013, a BBC report claimed that, due to the relations it had with Pakistan. The King outlived two of his crown princes, conservative Interior Minister Nayef bin Abdul-Aziz Al Saud was named heir to the throne on the death of Sultan bin Abdulaziz in October 2011, but Nayef himself died in June 2012. Abdullah named 76-year-old defense minister, Salman bin Abdulaziz Al Saud, according to various reports, Abdullah married up to 30 times, and had more than 35 children. The king had a fortune estimated at US$18 billion, making him the third wealthiest head of state in the world. 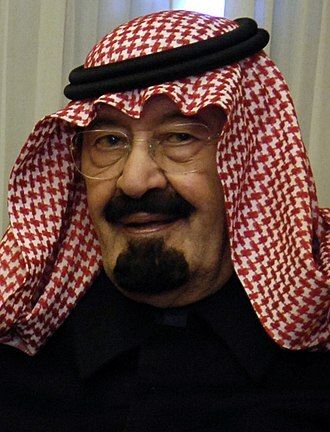 He died on 23 January 2015, at the age of 90, Abdullah is said to have been born on 1 August 1924 in Riyadh. However, some state that this date is incorrect. He was the son of King Abdulaziz. 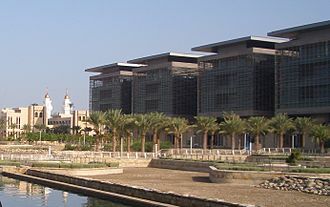 His mother, Fahda bint Asi Al Shuraim, was a member of the Al Rashid dynasty and she was descended from the powerful Shammar tribe – and was the daughter of former tribe chief, Asi Shuraim. She died when Abdullah was six years old, madawi Al-Rasheed argues that his maternal roots and his earlier experience of a speech impediment led to delay in his rise to higher status among the other sons of King Abdulaziz. General Sir Kenneth Arthur Noel Anderson, KCB, MC was a senior British Army officer who saw service in both World wars. He is mainly remembered as the commander of the British First Army during Operation Torch and he had an outwardly reserved character and did not court popularity either with his superiors or with the public. General Dwight D. Eisenhower wrote that he was blunt, at times to the point of rudeness, in consequence he is less well known than many of his contemporaries. He handled a difficult campaign more competently than his critics suggest and he was sent to join the 1st Battalion in India and was promoted to lieutenant on 29 November 1913. His First World War service was on the Western Front, arriving there in September 1914, promoted to captain in October 1915, he was, between 24 December 1915 and 3 July 1916, adjutant of the 23rd Battalion, Northumberland Fusiliers. He was awarded the Military Cross for bravery in action and was wounded at the Battle of the Somme on the day,1 July 1916. The citation for his MC read, For conspicuous gallantry, captain Anderson was severely wounded in front of an enemy first line trench. He endeavoured to struggle on, but progress was impossible as one of his legs was broken, although exposed to heavy fire, he continued to direct and encourage his men. He took eighteen months to recover from the wounds he received, before rejoining the 1st Battalion, Seaforths, by in Palestine and he was appointed an acting major on 12 May 1918, and reverted to captain in July 1919. In 1918 Anderson married Kathleen Gamble and she was the only daughter of Sir Reginald Arthur Gamble and his wife Jennie. 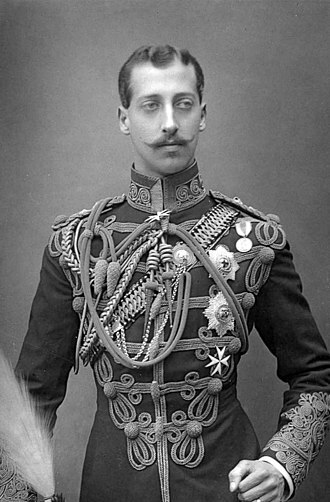 Her brother was Ralph Dominic Gamble, an officer in the Coldstream Guards and he served as adjutant to the Scottish Horse from 1920–24, and was promoted to major during this posting. He attended the Command and Staff College course at Quetta, where he apparently did not do that well and his superior, Colonel Percy Hobart, thought it questionable whether he had the capacity to develop much. Antonio Aguilar Barraza was a Mexican singer, film actor, film producer, and screenwriter. During his career, he recorded over 150 albums, which sold 25 million copies and he was given the honorific nickname El Charro de México because he is credited with popularizing la charrería, considered to have originated in Mexico, to international audiences. To this day, he has been the only Hispanic artist to sell out the Madison Square Garden of New York City for six nights in 1997. Aguilar was best known for singing traditional Mexican folk songs and ballads as well for his roles in films concerning rural themes and he won the Latin ACE Award for Best Actor for his portrayal of Emiliano Zapata in the 1970 epic film of the same name. He portrayed Pancho Villa twice in film, in 1997, Aguilar was awarded the Special Golden Ariel for his invaluable contribution and spreading of Mexican cinema. With his second wife, popular singer and actress Flor Silvestre and his family is known collectively as La Dinastía Aguilar. Luis Aguilar, a Mexican actor and singer, is not related to this family, Aguilar was born José Pascual Antonio Aguilar Márquez Barraza in Villanueva, the son of Jesús Aguilar Aguilar and Ángela Márquez Barraza Valle, both of Villanueva. His parents had six children, José Roque, Guadalupe, Luis Tomás, Mariano. He spent his childhood in La Casa Grande de Tayahua. Aguilars ancestors acquired this property in the early 19th century, Aguilar began his recording career in 1950, eventually making over 150 albums and selling more than 25 million records. He was known for his corridos, with some of his best known songs including Gabino Barrera, Caballo prieto azabache, Albur de amor and he was the first Mexican performer to mix rodeos and concerts while touring his show in Latin America and the United States. 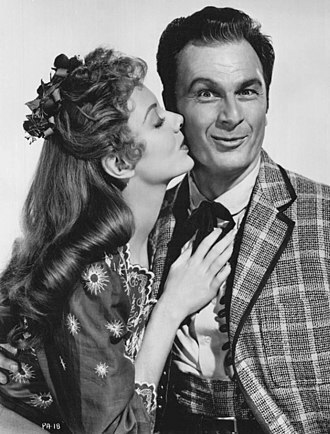 He has been compared to American actors like Roy Rogers, Gene Autry and he began his acting career in 1952 during the Golden Age of Mexican cinema. A total of seven low-budget ranchera films produced by Rosas Films S. A. 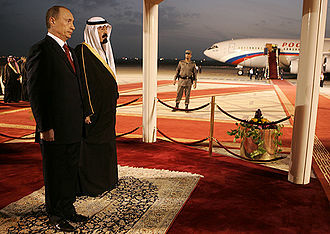 King Abdullah with Russian President Vladimir Putin on 11 February 2007. Pianist and composer Sergei Rachmaninoff paid for Anna to stay at the Garden City Hotel on Long Island, where she first used the name Anderson. Actress Ingrid Bergman won an Academy Award for her starring role as "Anna/Anastasia" in the 1956 film Anastasia. Though inspired by Anderson's claim, the film is largely fictional. Lieutenant-General Kenneth Anderson standing to the right of Winston Churchill, behind him is Major-General Brian Horrocks (nearest the camera) on a Covenanter tank of the 4th/7th Royal Dragoon Guards to take the salute at an inspection of the 9th Armoured Division near Newmarket, Suffolk, 16 May 1942. Lieutenant-General K. A. N. Anderson (right) on a visit to 78th Infantry Division's HQ in Tunisia, January 1943. Brigadier C. B. McNabb is on the left, with Major-General V. Evelegh, GOC 78th Division, on the right. Lieutenant-General K. A. N. Anderson (walking in front) during a visit to 78th Division's HQ in Tunisia, January 1943. To his right is Major-General V. Evelegh, GOC 78th Division, and to his left is Lieutenant-General C. W. Allfrey, GOC V Corps. Herbert Hoover in 1898, photographed in Perth, Western Australia. An unadopted hand-drawn essay for the 1878–83 Large Dragon stamps of China bought by John Agnew from Sir Robert Hart. Subsequently acquired by Sir Percival David and latterly by Meiso Mizuhara. On the face of the mountain behind Gene and Marian there is a profile of a face, called the "Amdahl troll"
Galkayo Airport, renamed to Abdullahi Yusuf International Airport in honor of Abdullahi Yusuf Ahmed.